Please Note: Creative products are available for sale in the United States only. 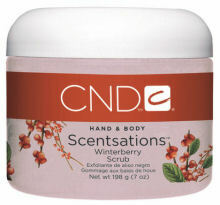 A fragrant hand & body scrub delicately scented with Winterberry fragrance. Mildly exfoliates skin, leaving it feeling soft and smooth. Massage over hands and body, rinse with warm water, pat dry. For optimal results, use with complementary Creative Scentsations Hand & Body Wash and Creative Scentsations Hand & Body Lotion. A fragrant hand & body scrub with a harmonious balance of scents that mildly exfoliates skin, leaving it feeling soft and smooth. Massage over hands and body, rinse with warm water, pat dry. For optimal results, use with complementary Creative Scentsations Hand & Body Wash and Creative Scentsations Hand & Body Lotion. 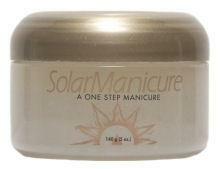 One-Step exfoliation treatment with all the properties of SolarOil. To remove the skin's dull, dry surface, revealing and deeply conditioning the underlying layer. Jojoba Oil carries Vitamin E deeply into the skin to help prevent cellular damage and reduce visible signs of aging. Naturally light oils keep skin soft and supple. Dead Sea Salts provide mild exfoliation while super penetrating SolarOil conditions skin and nails. This exclusive blend of natural sea salts and minerals leaves skin softer, smoother and more radiant. Naturally detoxifying seaweed cleanses and purifies while honey helps nourish and rehydrate dry, overworked skin. Fresh mint rejuvenates and enhances your sense of well being. Contains antifungal & antibacterial properties. Three luscious new scents of the classic SugarFIX. Now available in new CITRUS (blend of Mandarin, Tangerine and Key Lime notes for a tantalizingly tangy fragrance), COCOA (delectable essence of Dark Chocolate Truffle - without the calories!) , and CHAI (combines notes of White Tea and Vanilla for a warm and spice aroma) flavors, the exclusive SugarFIX formula contains a blend of brown sugar and natural oils for silky, smooth skin. These new scents create a uniquely aromatherapeutic shower experience. Perfect for hands, feet and body. A natural-fiber facial scrub that exfoliates the surface layers of your skin to uncover a healthy, glowing complexion. Dead skin cells build up on the surface of your face clogging pores and dulling natural radiance. Apricot Natural Facial Scrub helps eliminate this build up, leaving skin radiant, soft and smooth. Apply daily, or as often as desired. Ideal for use in the shower, too! Unique deep cleansing formula with pure Cocoa Butter. Gently scrubs away surface impurities to leave skin soft, smooth and healthy looking. A soothing natural-fiber scrub that deep cleans your skin with the added benefits of pure Cocoa Butter! The gentle exfoliating action draws out impurities, unclogs pores and removes dead, dry cells from the surface of your skin. Natural Cocoa Butter helps replenish lost moisture, protecting your skin from the harsh elements. The result is skin that looks fresh and healthy and feels soft and smooth. Can be used on all skin types. Apply daily, or as often as desired.